Well, maybe? 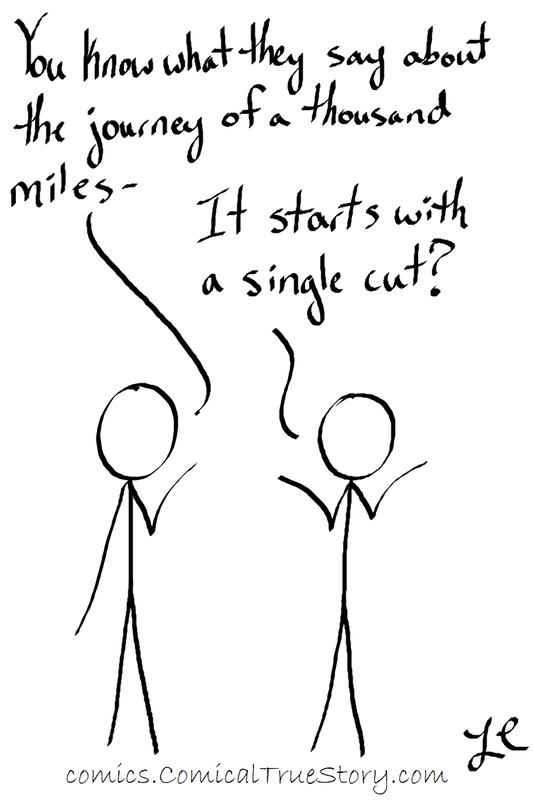 The sayings are "The journey of a thousand miles starts with a single step" and "death by a thousand cuts" so I figured they could be combined. Neither of those thousands sounds pleasant. 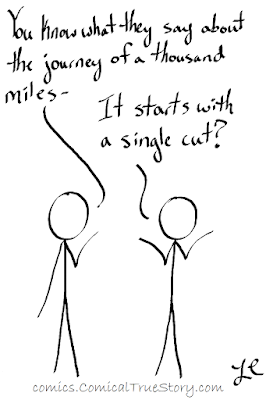 B: It starts with a single cut?